My parents were able to pass on the girls’ old playhouse to someone else in the village. This playhouse had originally been a play fort which my parents had – very cleverly – turned into a playhouse. However the girls (and their cousins) are growing too old for the playhouse so we put it on the village ‘Free, Sell, Swap’ page and had three offers to collect! By the end of the weekend it had gone to a lady who was going to give it to her granddaughter – so it will now have its third incarnation! 2. I borrowed the book we are reading for Book Group, rather than buy it. 3. I had a big win with a Boots offer and points! I received a money off voucher for Number 7 cosmetics (my go-to brand for foundation and concealer) but was also able to make use of their ‘Three for the price of two’ offer at the same time. What should have been £45, only cost £28. I was also able to claim my double points voucher so I already have nearly £5 saved for Christmas (I save all my Boots Advantage to help buy Christmas presenrs). 4. I decided to take part in the #10x10challenge on Instagram. The idea is to wear just ten items of clothing for ten days. I thought it would be a good idea to see how much use I could get out of my clothes, and make me rethink how I wear some of them. I’ll post the results next week! Interestingly, only about a third of the items were second hand. 5. Knowing I was only going to be wearing ten items of clothing (incl shoes) made me get my sewing kit out and mend a couple of items! Have you tried a clothing challenge? Are there any tips you can pass on? As I don’t have any Thrifty Finds from the past week (sometimes it just happens like that), I thought I’d post about my plans for Christmas. Sorry to mention that word but it is only six weeks tomorrow! 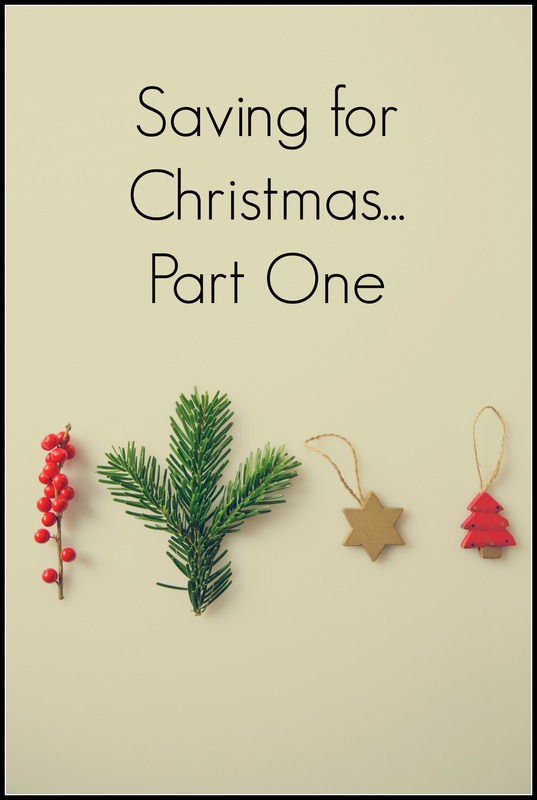 A couple of years ago I wrote a three part series here called Saving for Christmas which detailed how I intended to save – and spend – for the festive season. Annual Savings Every month I put aside some money for summer holidays, large family birthdays and Christmas. I plan to have saved £350 from this fund. Nectar Points I’ve earned about £25 of Nectar points this year which I hope to exchange for £50 in Double Up points this week. I intend to buy our Christmas drink and some festive treats with this. Quidco I’ve written about the Quidco shopping site before here and here. While I haven’t been as strict using it this year, it will still yield £43.16 in vouchers, which I will put towards Christmas presents. Boots Advantage Points Every year I save my Boots loyalty points and spend them at Christmas. If I buy ‘three for two’ on gift toiletries I can actually get quite a lot for my money. At present I have about £13 in points but I’m hoping to grow that to £15. Shopping in advance At the beginning of the year I shopped the January sales and bought all my Christmas cards and wrapping paper, plus some new (to me) decorations. I have also been buying a book of stamps with my monthly food shop to spread that cost. Days Out Budget Every month I also save some money for family days out – whether it’s cinema trips, eating out or visiting attractions. I will use the cash from this to pay for an annual family meal and a few smaller treats on our ‘Bucket List’. With regards to where I will shop for presents, I think that the days of buying charity shop gifts are drawing to a close. That is for my daughters, at least, who (at 16,12 and 10) are more fussy about first hand presents. If I can find some small, well presented items in good condition, though, I may still buy them. At present I’m looking for money boxes as they have a big summer holiday next year which we all need to save for. I will still be looking for Christmas tableware (esp napkins), books and games, though, for us to enjoy at Christmas. Whatever I decide to buy, though, the one message that I stick to every year is don’t get into debt for Christmas! Okay so I’m sorry for mentioning that word when November has just started! But I’ve been thinking lately about how to finance Christmas this year. We had an unexpected bill to pay last month which has had a knock on effect for the next few months. 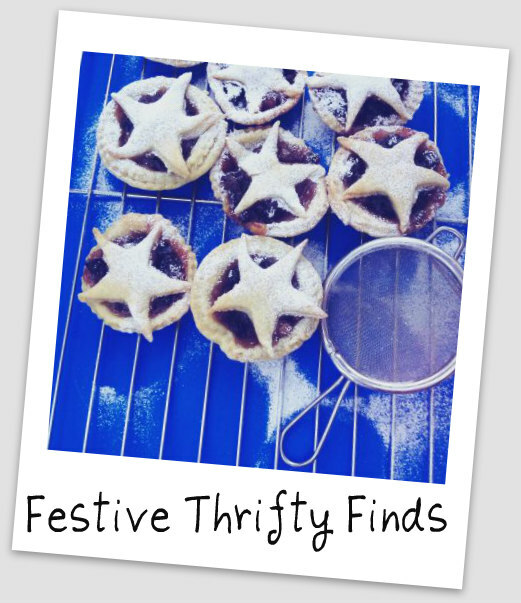 Suffice to say I am determined to keep the coming festive season as simple, low key and cost effective as possible. With money slightly tighter it’s also a good excuse to re-evaluate what we spend our money on at Christmas and why. I have begun to de-clutter and take stock of what I can sell for the latter project. And I have come across an interesting dilemma. You may remember a while ago I wrote this post about whether it’s right to make money from things that were given for free? It is still something I feel strongly about. However when a family friend gave us a lot of costume jewellery a few weeks ago I was very tempted to sell it on. The jewellery comes from places like Accessorize, Pilgrim, M&S and Claire’s Accessories and some of it has never been worn. I began to sort through it last week, detailing and pricing it. But something felt wrong.I know the friend had given it for my girls to wear but they already have a lot of necklaces and bracelets. I’m sure she wouldn’t mind if I sold it for profit but I still felt uncomfortable. So, after some serious thinking, I have decided to sell it online but pass all the funds onto Save the Children. Anything I don’t sell I will donate to the new-look store in Bath when I visit next week. I’m going to write another post on what I’m going to spend my money on for Christmas this year. I’m also going to use this Christmas as an opportunity to slim down the list of whom we buy presents for (and who buys presents for us, when we don’t really need them). How are you saving for Christmas? Is there anything you are going to do differently this year?